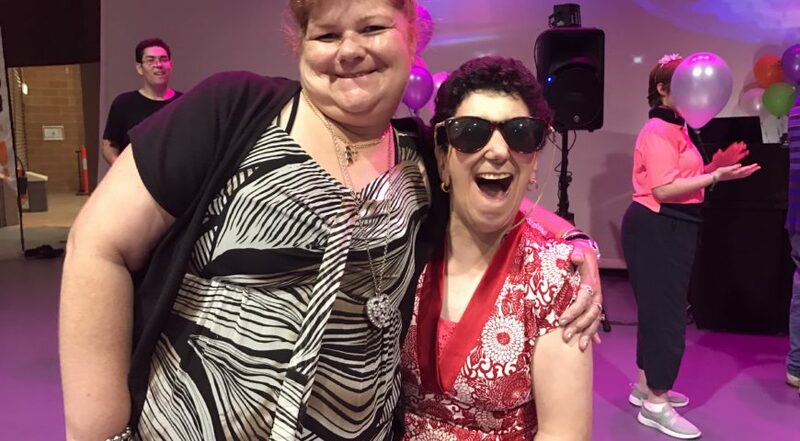 On Friday 23 March we held our 2018 Glitz & Glamour Disco at the Golden Grove Arts Centre. It was such a special day for our participants as they came together to sing & dance with their friends to celebrate who they are. Each participant was given an admission ticket to present upon entrance; they spent hours dancing with new and old friends and then relaxed over a delicious lunch that was served to their table. Throughout the day participants partook in a variety of friendly dance competitions, where we selected our Dancing King and Queen. Participants showcased some fabulous dance moves from incredible Wheelchair Turning to some brilliant Air Guitar! This event supports our objectives of building confidence in our participants, promoting physical exercise and creating a space for positive social interactions. For many South Australians living with disability, the scosa Disco may be the only opportunity they have to attend a community dance event. A big thank you to All State Construction Solutions for sponsoring this event and to the team at Chappell Builders and Concept Air Conditioning for volunteering their time to assist us on the day. Check out this video to see some special moments from the event.